Cliffhanger Festival returns for 2017, promising to again turn Sheffield city centre into a giant outdoor playground! Following a whole host of adrenaline-fuelled events recently hitting the Steel City, including the Tour De Yorkshire, Outdoor City Weekender and the Sheffield Adventure Film Festival, another celebration of physical activity arrives this month in the form of Cliffhanger. The event, setting up shop over the weekend of 7-9 June, will see a number of free events and activities on offer across the city centre. 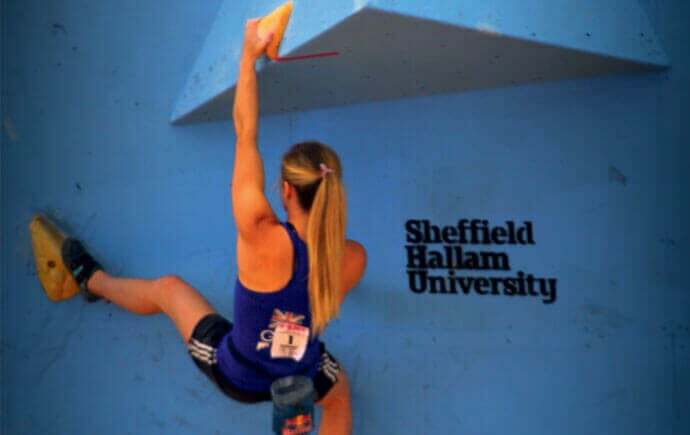 The British Bouldering Championships (BMC) will be taking place on Devonshire Green, as some of the finest climbers in the country battle it out on a huge purpose-built wall. Live music, activities and refreshments will also be available from 5pm onwards on opening day. The rest of the weekend will see a wide range of professional demonstrations and activities in sports including climbing, mountain biking, running, skateboarding, orienteering and much more. Visitors will have the chance to get involved with the activities too, from zip wiring across Barkers Pool to trying out scuba diving in the Peace Gardens. Entrance is free and chosen locations include Peace Gardens, Barkers Pool, Devonshire Green, Millennium Square and Winter Gardens.